At the end of summer 2016 two young DJs/producers from Amsterdam teamed up and started making tracks, combining each of their own styles and techniques. Pyramids was born and since that day, they've worked with artists from all across the world. 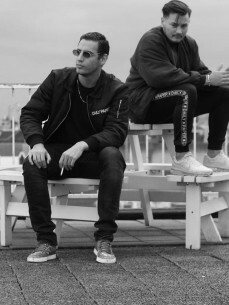 Pyramids is currently releasing tons of records in The Netherlands with a lot of success: hitting the top 50 Spotify charts with not only their own singles, but also with their productions for other artists in the game (recognized by their "Pyramids!" tag).